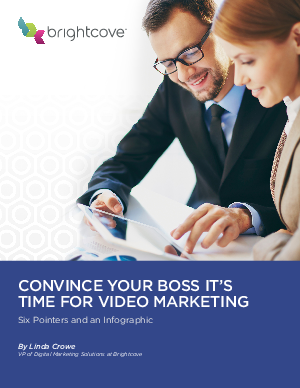 Once a nice-to-have, video is becoming a fundamental part of any content marketing strategy. In fact, according to Aberdeen’s “Analyzing the ROI of Video Marketing”, 95% of best-in-class marketers are using video as a content marketing channel. With this comes an increased understanding that it’s not just about generating views for their own sake, but that video has a significant impact on the metrics that matter most to marketers. This goes beyond soft metrics like brand awareness and affinity to real bottom-line impact like conversions and cart size.